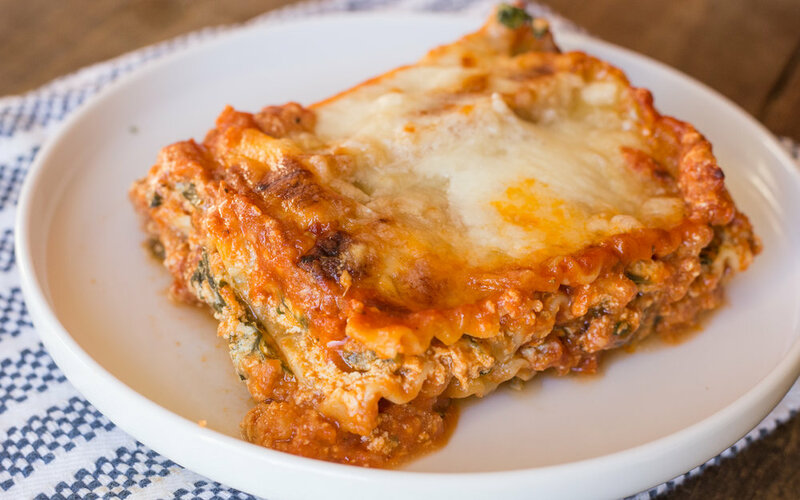 Spinach Lasagna — Happy Food Co. COMBINE the ricotta cheese, egg, Italian seasoning and grated parmesan cheese in a medium bowl. Mix until smooth. ADD 1cup water to baking dish. 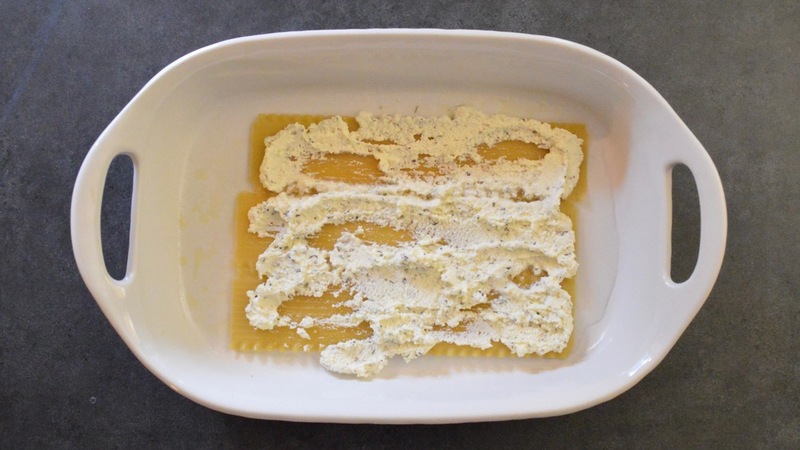 LAY 5 lasagna noodles in the baking dish side by side. TOP with 1/3 spinach, desired amount of pasta sauce and desired amount of Havarti cheese. SPRINKLE cheddar cheese over top of the last layer, making sure all noodles are covered with pasta sauce and/or cheese. PLACE lasagna on baking sheet and bake at 375 degrees for 60 minutes or until the cheese is golden and bubbly. REMOVE the lasagna from the oven. Let the lasagna "rest" for 5 minutes before serving. SERVE the lasagna and enjoy! A unique blend of 80% Sangiovese and 20% Merlot and Cabernet Sauvignon. 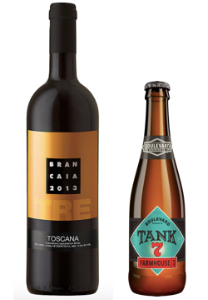 The basis for this wine are the grapes from three estates: Brancaia (Castellina), Poppi (Radda) and Brancaia in Maremma (Grosseto).